Costa Rica is one of FMC’s newest mission posts, with missionaries serving full-time in Coopevega, a rural town near Santa Rosa de Pocosol. 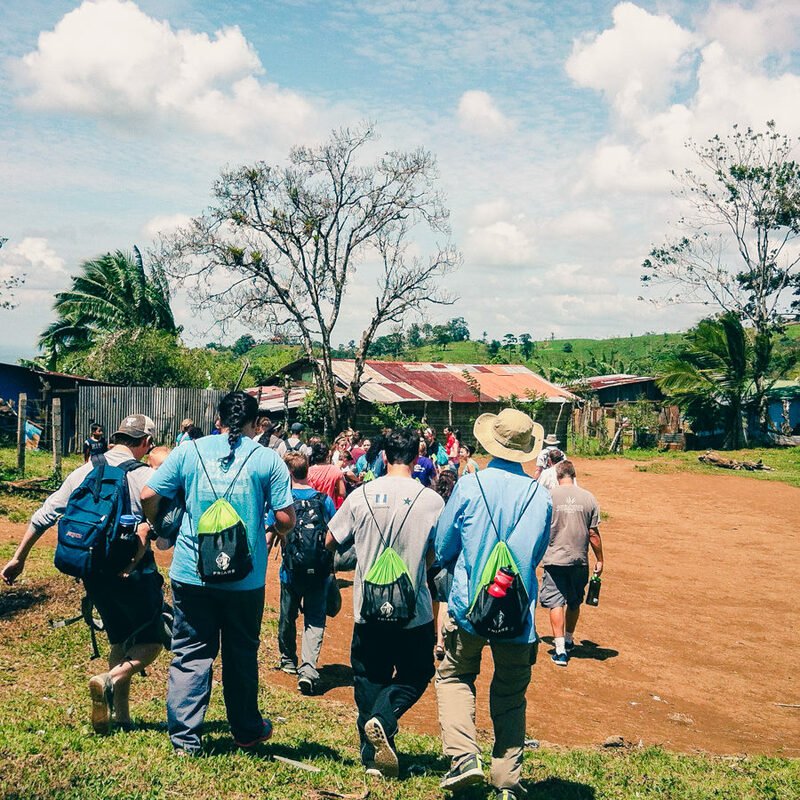 While serving the people of Costa Rica alongside the missionaries, short-term missionaries will find themselves enriched in evangelism and the corporal works of mercy. Some highlights of a mission trip to Costa Rica are work projects, sharing of Scripture and personal testimony, praise and worship in local schools, and other acts of service to the poor. A “desert day,” a time of prayer and silence with the Lord, will be spent at a location that displays the beauty of God’s creation. Individuals and families can join any of our planned trips. We also welcome church groups, school groups, prayer groups, youth groups, homeschool groups, clubs, and organizations. All you need is a group of 15 or more to schedule and plan a trip of your own. Mission trip participants will stay in various locations in the small, rural town of Coopevega including simple hotel rooms, the parish center at the local church, and shared family homes. There are two gathering places at the local church where the group will meet for prayer and sharing. There is also a dining area next to the church where meals will be served. You will fly into San Jose International Airport (SJO) in San Jose, Costa Rica. There will be a 4 hour bus ride to Coopevega. * Prices do not include transportation to and from Costa Rica. Costa Rica, located in Central America between Nicaragua and Panama, means “rich coast” in Spanish. Costa Ricans refer to themselves as Ticos (males) or Ticas (females). Costa Rica has a population of 4.5 million. The country is small: it’s landmass only takes up 0.03% of the planet’s surface (slightly smaller than Lake Michigan). There are more than 121 volcanic formations in Costa Rica. Arenal is one of seven of them that are active. A soda is a small restaurant, often attached to the owners home, that serves traditional Costa Rican food including casados (meat, rice, beans, plantain, and salad) for $3-$6 a plate. Costa Rica’s official language is Spanish, though some are bilingual. English is the most common second language in Costa Rica. Costa Rica has no standing army. They abolished the army in 1948 after their last civil war ended. “Pura vida” is a happy, feel-good expression used often by the locals when asked how they are or in passing to say hello or goodbye.